Regarding the non event of yesterdays game against Loughborough. For those who were there it will not be a surprise of course, but for those who didn't attend these Championship games for whatever reason and there are many of course as we can't all travel, hopefully they will give an appreaciation of what can be done with a will to play a game of rugby. It is after all a game played during the winter months for goodness sake. 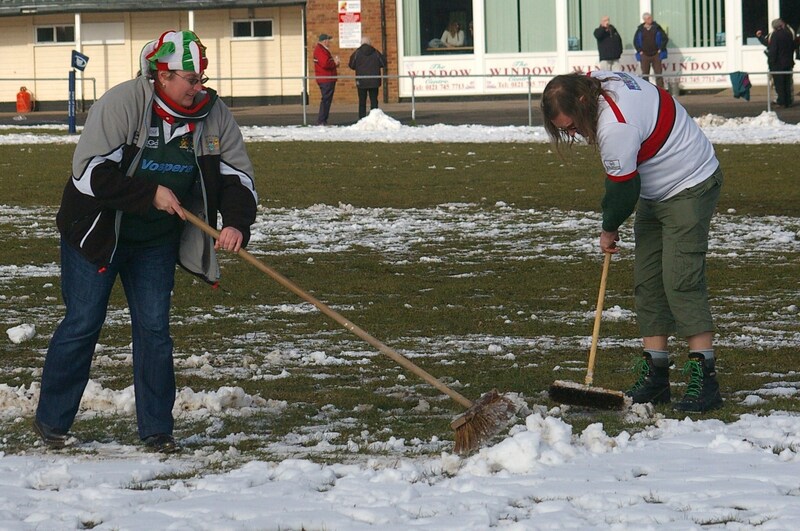 Here we have Cider Drinker and Igwok along with many others clearing the pitch before a game against Birmingham in the Championship. 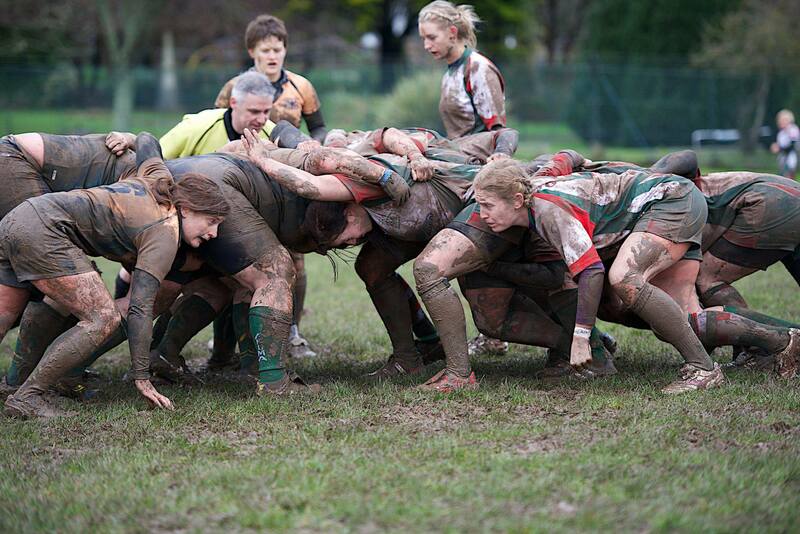 And this from the Coventry game [Now in high def - Igwok]. It may be worth mentioning that we were the away team in both cases, I guess that Dawsey felt it was the same for both teams and was happy to give his lads the chance of a win, can't remember the results perhaps someone will let us know? Who among us remembers being there at the time? Cov/Mick has said. 0 v 3 to us, a penalty but no quarter in the mud. We dug ditches from the pitch to drain onto the car park and down the hill to the road. Doubles boudicuss will recall that. remember arriving at Coventry with the muddy water flowing off the pitch into the car park. 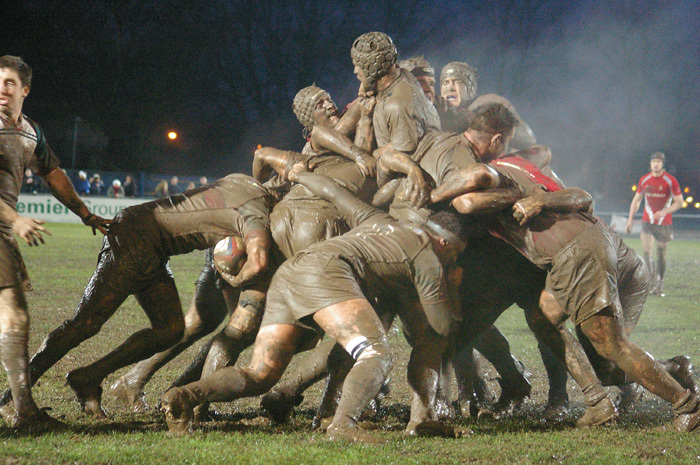 very muddy and we could only identify the ref after 5 minutes. Birmingham Bees - what brilliant day - arrived early to a pitch covered in snow, ref said if the pitch was cleared it could be played as not frozen... we wanted to watch a game, so brooms out and make it happen. we were offered a hot drink(or hot apples) after. my dad played at Salcombe many years ago and was told to keep out of the deep end, slide the try in from the half way line and try not to drown in the far corner. Unfair to blame all the Loughborough students for the decision. Just the captain! Are there penalties when a captain refuses to play on a good pitch? If not, then this could be abused if the team is missing a few key players. Edited 1 time(s). Last edit at 2018:01:22:11:27:48 by Dewnansek. Your quite right Dewnansek, the squad react to the skippers decision but for me this decision has come from higher up the pecking order than the skipper. I can't see our skipper of the day over ruling the likes of Kieran for example. It may well be that their players would have played after committing themselves to losing a full day for nothing as you suggest but it's the captain that has the call, but the club as a group will be held responsible I feel from our supporters point of view. It will be interesting to see the result of the of this debacle. Just to show how other clubs in the National One approach a similar situation albeit needing a little more consideration in this case.